Students of the Engineering Faculty of Syiah Kuala University (Unsyiah) re-create innovations in technology. This innovation is a smartphone application called 'AyoFutsal' which serves to help the community, especially futsal field entrepreneurs, scheduling field booking. AyoFutsal application is an innovation from research of Student Creativity Program Team with Technology Implementation (PKM-T) which consists of five students of Electrical Engineering and Computer Unsyiah. They are Hendrik Leo, Rianto Wibowo, Darmawansyah, Norfan Khalil, and Rota Fitria Maulid. This application development is guided by Rahmad Dawood. Hendrik Leo, chairman of the team, said the idea of ​​this application appears when looking at futsal field entrepreneurs in Banda Aceh are still implementing conventional booking management systems, such as using books or whiteboards. This can lead to an increased risk of double booking due to careless employers or employees. 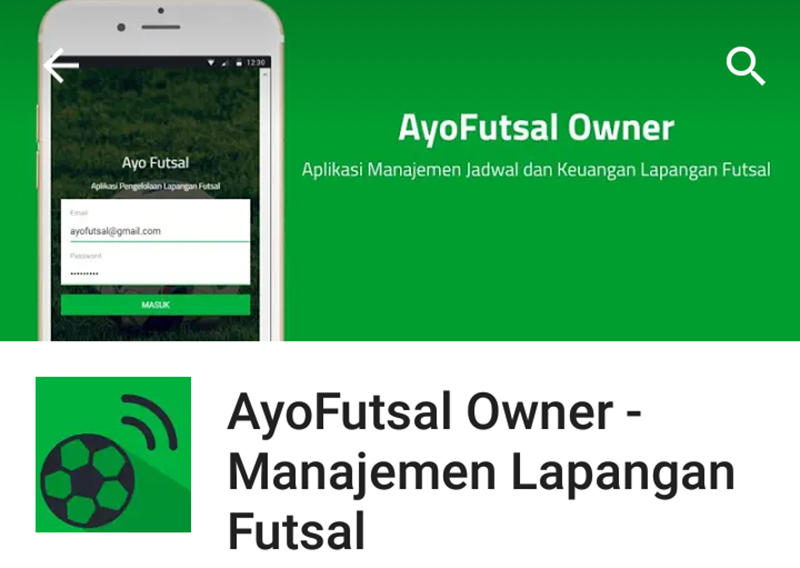 "AyoFutsal application becomes a solution for futsal field entrepreneurs to replace conventional booking system into online booking system," he said. He explained, AyoFutsal application is also equipped with financial features that serve to facilitate entrepreneurs in doing bookkeeping and supervision of financial futsal field business. Thus, booking management for futsal field scheduling can be more effective and efficient for entrepreneurs. "Currently, the application is still limited to the owners, but in the future the application will be developed for the user so that the field tenants can also monitor the booking schedule in each futsal field in Banda Aceh," continued Hendrik.